Come out to enjoy the food and entertainment Long Island has to offer! If you’re a foodie, you have much to enjoy on Long Island this week! There’s a variety of food demonstration opportunities and other entertainment happening. On Monday, head over to Thyme Restaurant & Café Bar for its special four course Passover meal. 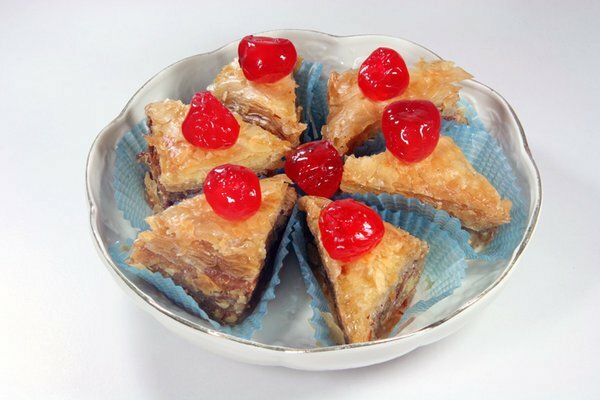 On Tuesday, enjoy a demonstration on Greek cuisine at Babylon Public Library. On Wednesday, Mattituck-Laurel Library has a demonstration on a delicious Mardi Gras menu. Other entertainment going on during the week include Opera On Main Street at The Suffolk Theater, open mic night at the Lizard Lounge, live jazz and local artists painting to the music as you dine at Perfecto Mundo Latin Bistro, a special event featuring America’s nine first ladies from New York at Smithtown Historical Society’s Frank Brush Barn and Keyshia Cole performing at NYCB Theatre At Westbury. Check out the details below! Info: To celebrate Arturo Toscanini’s birthday, one of the world’s greatest conductors, the Bronx Opera Company will have a unique performance featuring stories and anecdotes from his career. It will also perform selections from La Traviata, La Boheme and work by American composer Samuel Barber. Info: Head over to Thyme for its special four course Passover prix fixe menu. Its selections will include Matzo Ball Soup, Fuji Apple & Endive Salad, Cranberries, Toasted Walnuts, Cider Vinaigrette, Pan Seared Filet of Salmon, Roasted Vegetables Ratatouille, Tomato Basil Pesto Emulsion, Grilled Filet Mignon, Crispy Potato Cake, Sauteed Spinach, Soy Red Wine Gastrique, Pan Roasted Chicken, Brisket of Beef, Long Island Duck Breast and much more. Its menu items are made without flour and Thyme is not kosher. Info: Here’s your chance to watch a demonstration of the creation of a few timeless Greek recipes and sample the richness and splendor of Greece. The demonstration will be offered by Kathy Dlugolonsk. Registration requested. Info: Stop by to enjoy a comedy show and karaoke at The Lizard Lounge. Its comedy show is held every Tuesday night. The Lizard Lounge offers an upscale and sophisticated Manhattan-style martini lounge and dance club environment. Info: Try out a delicious Mardi Gras menu featuring shrimp/crab gumbo and jambalaya through this cooking demo session. Register to attend. Info: Enjoy a night of live jazz and watch local artists paint to the inspiration of the music as you dine. Info: Of the 46 American first ladies, nine were born in New York. Take part in an illustrated lecture that goes on to explore their lives and legacies. Light refreshments will be served. Subject: LongIsland.com - Your Name sent you Article details of "Hot Spots: Weekly Watch for March 25 through March 28"